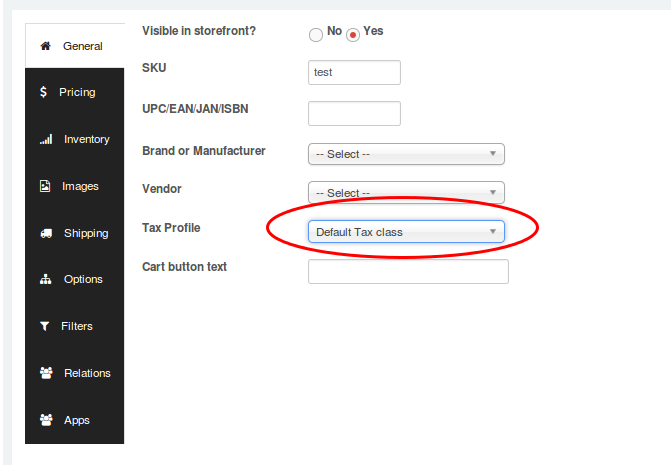 This is an example setting for stores in United States. This also applies to many other countries that follow a US style of tax system. For detailed information on tax, please consult an expert. Note: Current US law requires you to collect taxes where you have an interest/ongoing concern — that is, where you have physical stores, distribution centers, headquarters, and so on. For many online stores there is only one location. However, if you have stores that operate in many states or countries, or if you have revenues exceeding approximately $2M per year, we recommend that you use a third-party tax provider because there can be a considerable number of tax rules and tax zones to manage.